If there is one cuisine that Americans have perfected it is BBQ; often though excellent rubs and sticky sauces hide less than stellar meat. 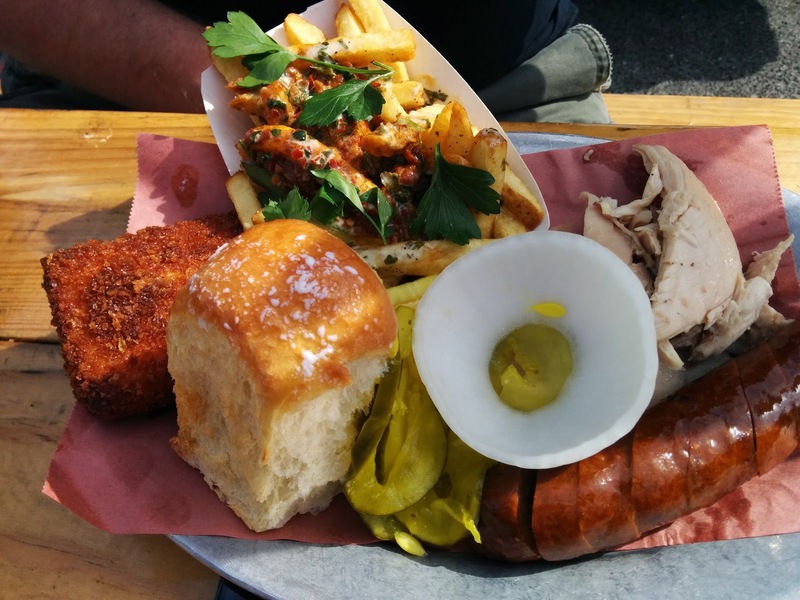 4505 Meats has been selling Artisan meats in the Bay Area at farmer's markets and their butchery for years, now they're turning their fine meats into finer BBQ. 4505 is as self service casual dining experience; you order at the window from a large board of choices and take a number to a table in the yard outside the restaurant. Drinks can be ordered at the bar inside the restaurant but roaming servers will collect plates and take orders for additional drinks. 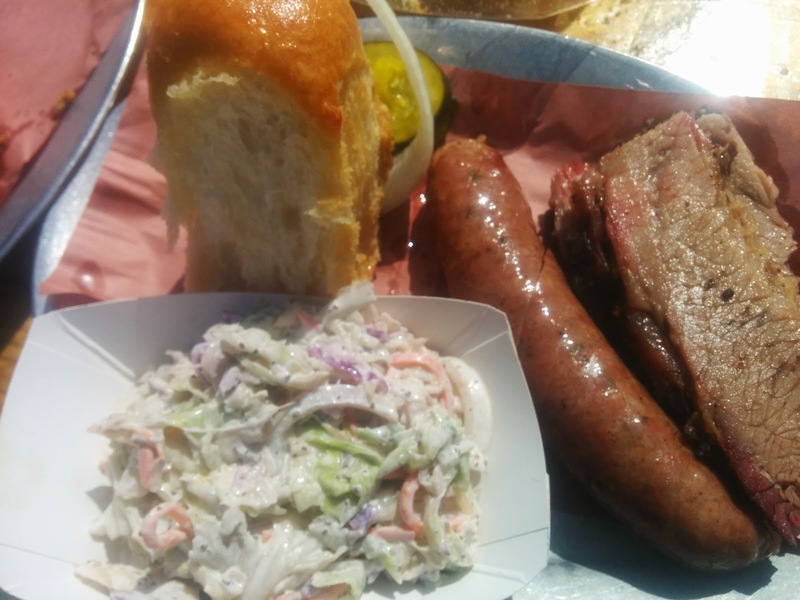 Smoked meats include brisket, pulled chicken, pork shoulder, pork rib racks and mild or spicy smoked sausage. You can order meat by the pound, on a sandwich or a set plate with sides. They offer standard sides included with the meal or Fixin's which are 'deluxe' sides that can be added to your meat platter for 75c or up from $4 each. All of the sides are plentiful and delicious and appeal to a wide set of tastes from fried Mac and Cheese to Beans or Fries. Each platter also comes with fresh pickles and a 'posh' locally made Hawaiian style dinner roll. 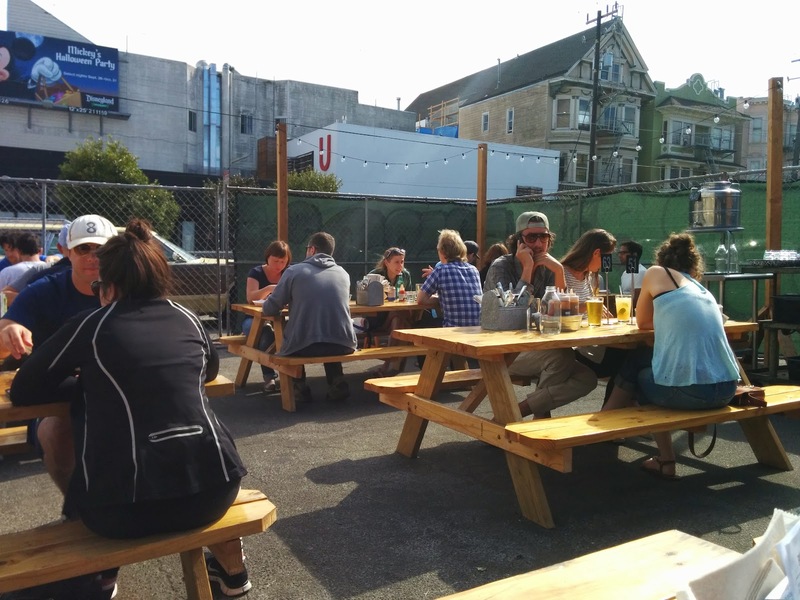 This is definitely a venue for the food lover rather than the fine diner; picnic table dining, cutlery buckets and cold beer are the order of the day. 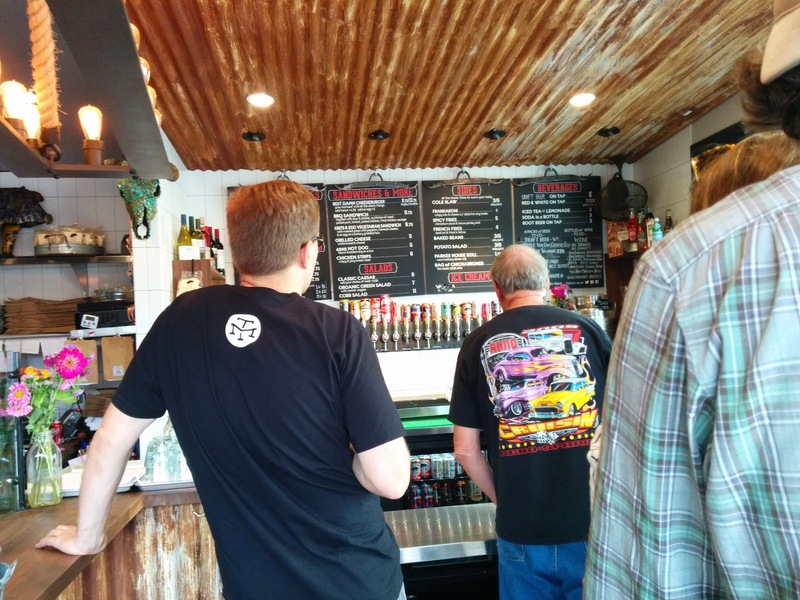 They have a huge range of craft beers on tap as well as all natural soft drinks made from cane sugar. Perfect for a warm sunny California day in the sunshine. 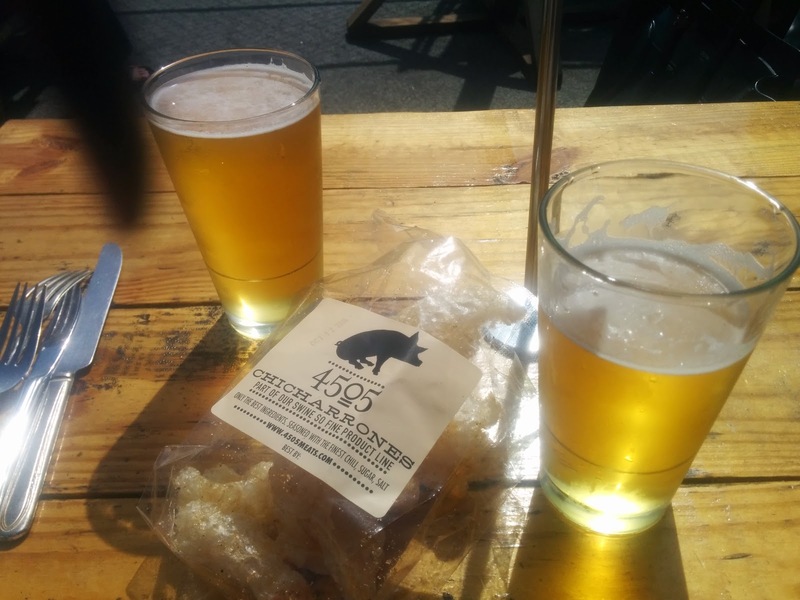 The Chicharrones are definitely worth a mention - the ultimate moreish low carb snack of pork rinds that have been dried, deep fried and salted. As well as being rich sweet 4505 pork fat these are salted and seasoned to perfection with a light chili lime dusting. Perfect with a cold beer or on their own. The condiment selection is a little limited but also not as necessary as you might think. 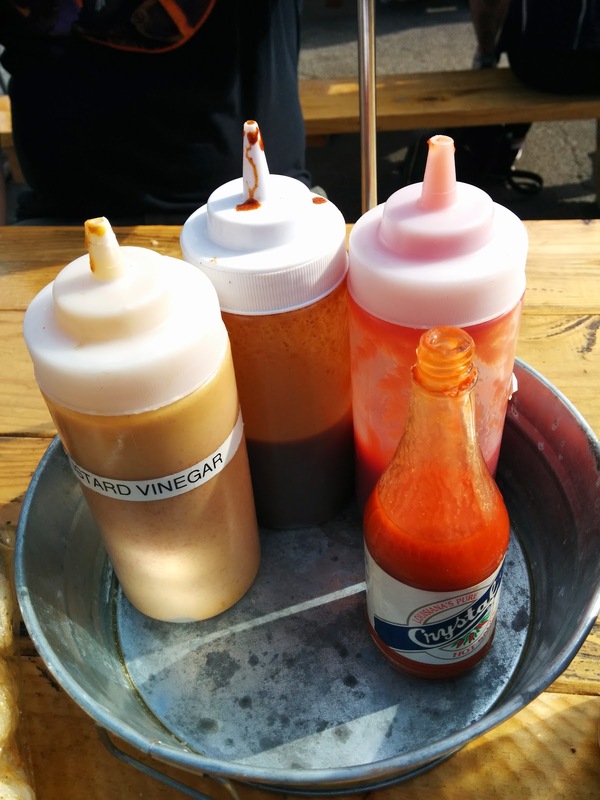 They include a mustard/vinegar sauce, a Carolina style BBQ sauce, Ketchup and Louisiana Hot Sauce. I admit when I take this home I indulge in Kansas style sweet sauce; brisket and sticky sauce is my idea of heaven. The chicken is soft and juicy with a rich smokey flavour. Here the sides are Fries (included) and Frankaroni ( +75c Fixin' or $4.75USD on its own). Frankaroni is an indulgent Mac and Cheese mixed with cut Hot Dogs breaded and deep fried - a delicious heart attack. Served with double Coleslaw. The smoked sausages are fantastic but I find the heat of the spicy link overpowers the brisket so I skipped my usual mouth burning affair. The brisket melts in your mouth with the right mix of fat through the meat; I could eat an entire side of this stuff and wish to high heaven they made burnt ends. 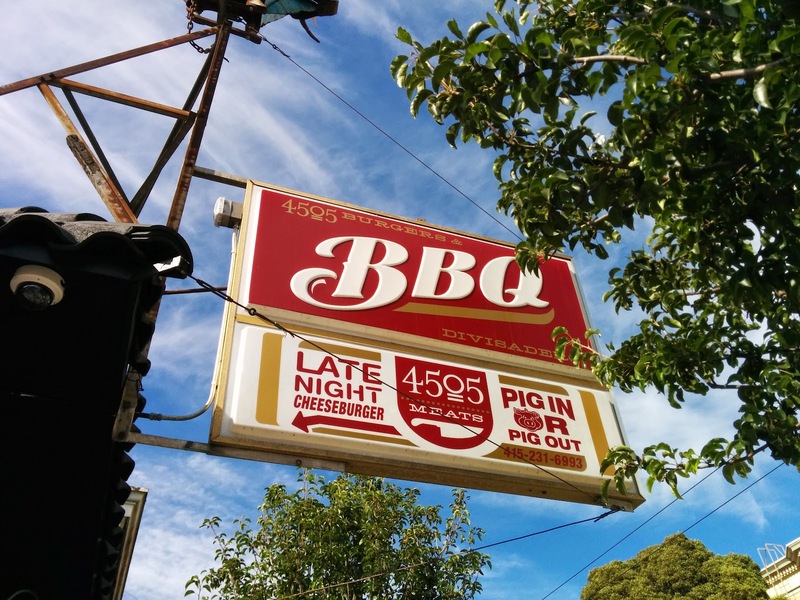 Most BBQ joints in the US will only serve Pork, premixed with sweet sauce. 4505 will let youchoose any of the smoked meats as well as a fried chicken strip option sure to please the kids. 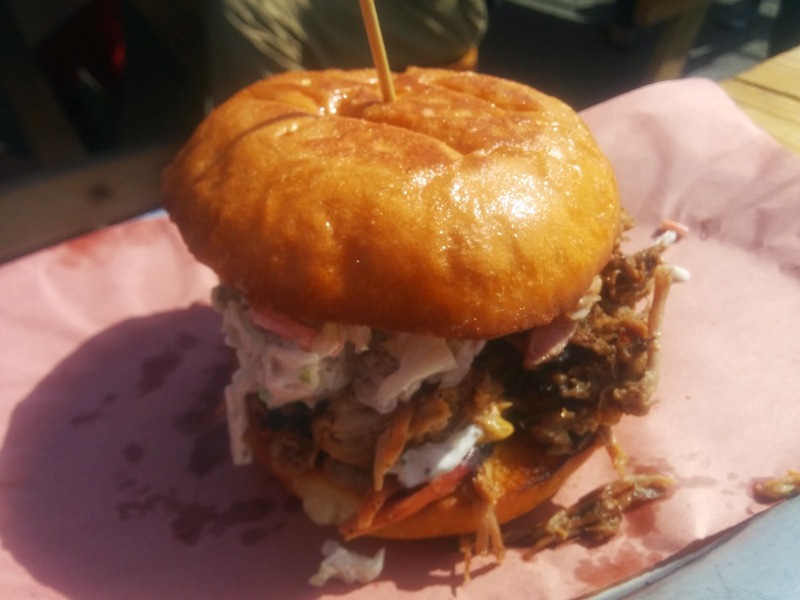 The meat is topped with coleslaw and served on a good quality brioche burger bun. The burger doesn't come with sides as standard - fries are an extra $4 but the burger is man sized and doesn't need them. 4505 offer take home dinners which are shareable sizes with 2 classic sides or party packages if you're catering. They're open late for evening pick up - great if you're watching the game or just want to head home after work but still eat delicious. To top all this off 4505 is walking distance from Comix Experience and Isotope Comics. 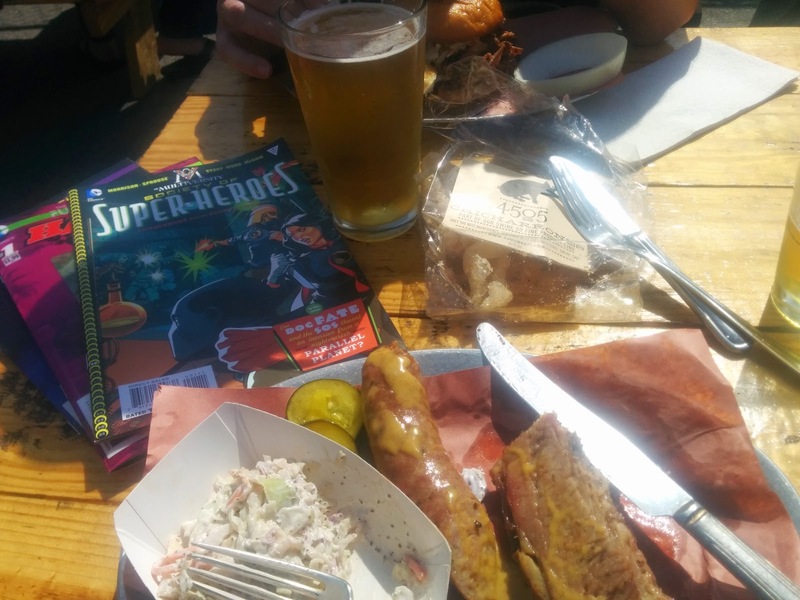 A walk in the sunshine to the comic book store followed by cold beers, great meats and new comics is about the perfect Sunday afternoon San Francisco activity. If you're less geek centric try the Farmer's Market next door on Divisadero open till 1pm on weekends.